By Matt -- The Topolino, the Anglia, the Prefect…they’re downright common in the vintage drag racing world. What the world truly needs are more French gassers, specifically those that look like 2/3 scale 1952 Bel Air’s. 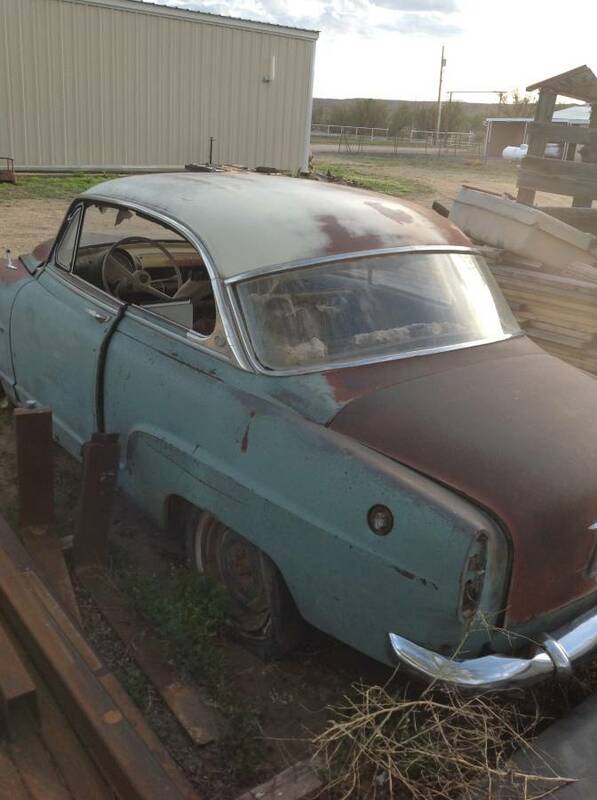 Starting by dragging this this otherwise unresurrectable Simca out of the weeds, you could build the all-motor, leaf spring and live front axle deathtrap of your dreams for somewhere just North of a grand. Pick this 1957 Simca Aronde Type 90A, just ripe for the gassering for $500 via craigslist in Albuquerque, NM. 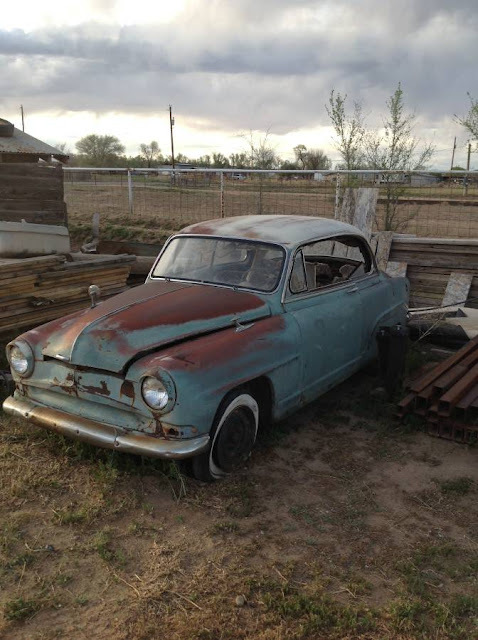 Take it from a former Simca owner, every Simca is a nightmare project but in the most rewarding way possible. Parts are nearly impossible to find and for the most part, this one hasn’t any left. If it weren’t for a Facebook group of about 20 patient and helpful people and some folks on eBay clearing out their recently deceased uncle’s auto parts store surplus, spares would be utterly unobtainable. But the pitfalls of ownership don’t really matter at all – the elegant engineering, the solid build quality, and the style make it completely worth the trouble. 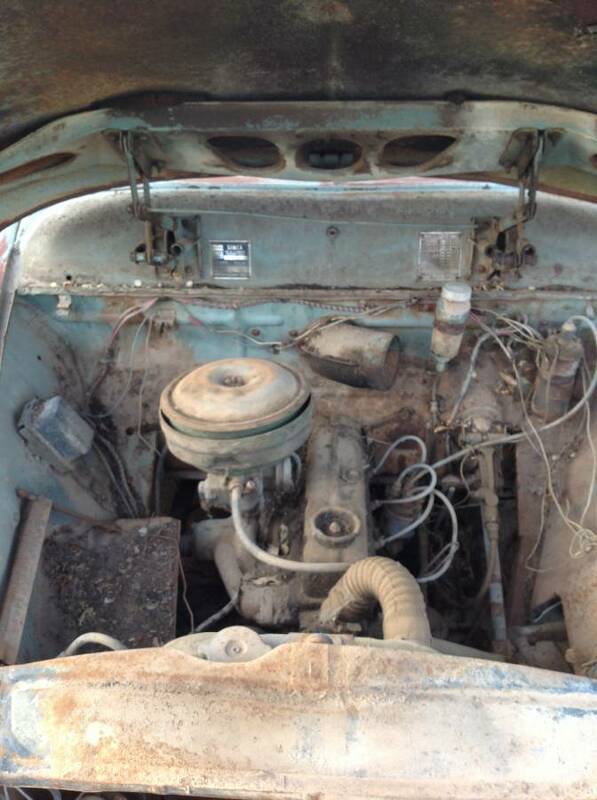 However, if in a case where a car is completely beyond the economics of repair of restoration, there is only one sensible solution: a Bistro themed 400 meter beater with a Vedette Ford Flathead, 3-on-the tree, and Mickey Thompson big ‘n’ littles with “Crusty Draguette” scribed on the side. Is my fantasy tainting your own vision? Pull up a chair and bring your better idea to the table! The Aronde came with a few different versions of the Flash Special, a very average Fiat-based 4 that won’t be the cause of any front wheel lifts. The lump in this car may or may not turn over but we’re completely unconcerned about that bit of trivia for this exercise. With a sectioned beam axle out of an F-100 and some terrifying drag link steering, you’ll be right well on your way to clearing the oil pan of whatever small displacement V8 your thrifty and enterprising heart can craigslist up. Simca did offer a Flathead Ford in it's Larger Sedan. Brings back surreal memories of driving a station wagon Aronde across Australia in the late sixties from Sydney to Perth ! Some 3-4 thousand miles with only one major mishap , the head burned up between oil ways water and combustion chamber, resulting in a mixture of oil and water exiting the exhaust pipe as a yellow sludge ! This happened near the town of Norsman probably as far away from civilization as one can get in southern Australia,it just so happened there was a salvage yard right where the Simca died. 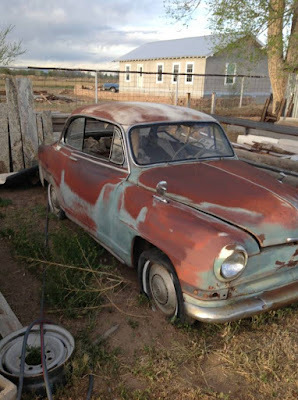 I asked the lone occupant of the yard, an old German if he had ever scrapped a Simca, he told me to look in the lone shed there might be some parts there, lo and behold hanging on a nail a complete head and what looked to be a good gasket ! for the princely sum of ten dollars it became mine, so with the help of the old man the Simca became mobile again and completed the rest of the way to Perth. What an excellent story. It's amazing to me that they assembled the Aronde in Australia but they must have been well suited to the conditions. The rear passenger window on the Aronde appears to be one of those old coolio ones that wind up and down in a semi-circle..